* Mini Ups is a DC uninterruptible power supply which can store power. * It is designed to provide emergency power backup to all kinds of DC power equipments such as routers, modems, set-top boxes, VOIP phone systems, surveillance systems, alarm systems, personal communication systems, radios, digital cameras, POS, Bluetooth devices, smart cards and many other critical telecom equipments. * It can provide hours of operation during power failure at a low price vs a traditional UPS. * It has perfect overcharge, over discharge, overcurrent and short circuit protection function. * High quality lithium-ion battery, easy to replace. 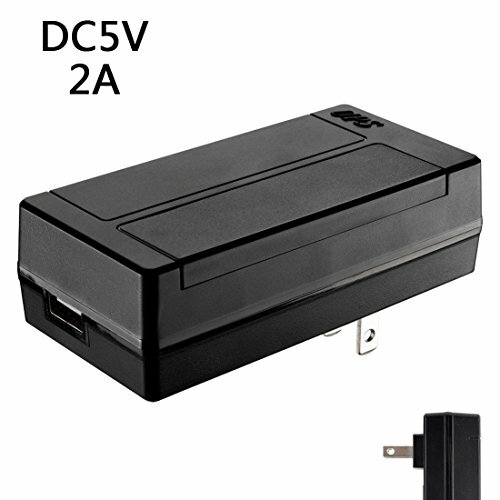 * Support AC90~265V 50~60Hz directly charge. - To reduce the risk of fire of burns. - Do not attempt to disassemble or open it by your own. - Do not crush or put it into fire or water. - Working temperature below 80C(140oF). - Please use qualified 18650 battery and note the installation direction of the battery.